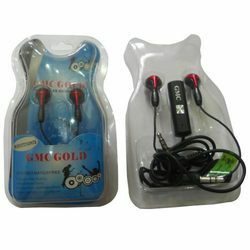 Catering to the requirements of customers, we are engaged in offering optimum quality Mobile Handsfree. These mobile hands free are made by the expert professionals who make use of only premium quality basic material and components. To ensure the quality of basic material and components for provided mobile hands free, we purchase these from well-acknowledged vendors of the industry and test these prior to use. Our offered mobile hands free are compatible with mobiles & I-Pod and computers. Leveraging on the support of our industry knowledge, we are engaged in offering optimum quality Mobile Handsfree. The offered mobile hands-free are widely appreciated for their longer service life. To ensure the same, we manufacture these mobile hands-frees by making use of quality assured basic material and components, purchased from esteemed vendors. We also keep in mind the well-defined quality standards of the industry while manufacturing these mobile hands-frees. We are a client focused firm engaged in offering premium quality Mobile Handsfree. 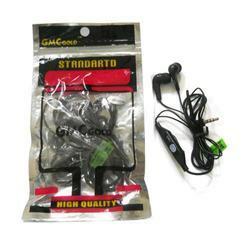 At our sound manufacturing unit, we make the provided mobile hands free by utilizing optimum quality raw material and other component, procured from the trustworthy vendors of the industry. Post production, we check these mobile hands free so as to ensure their synchronization with the universally accepted quality standards. Looking for Mobile Handsfree ?